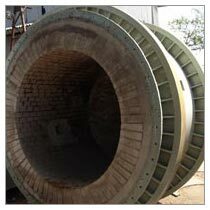 We are engaged in the manufacturing, exporting and supplying of Rotary Furnace. We have been catering to the requirements of the customers by offering comprehensive range of Rotary Furnace at the most competitive prices. We are recognized and appreciated globally for the highly efficient, durable Rotary Furnace that is used for different types of applications such as Cast Iron Melting and Aluminium Melting.